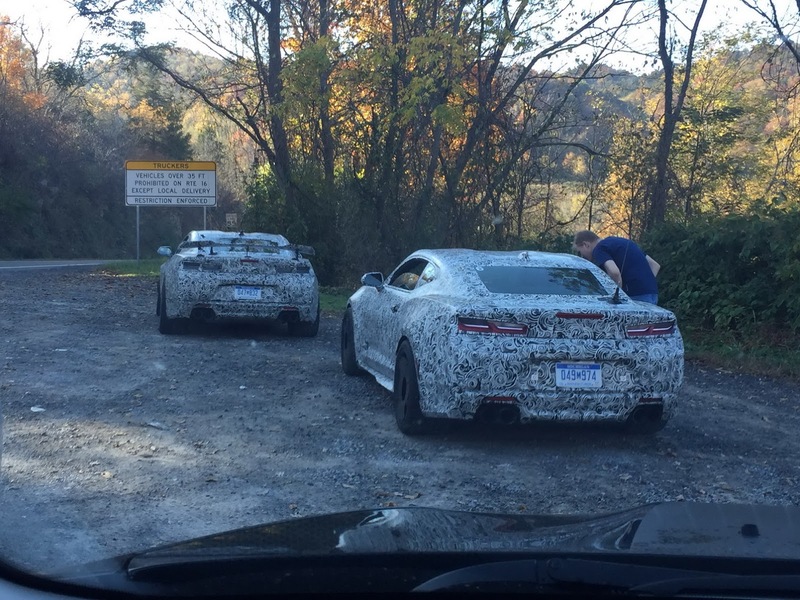 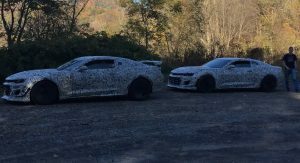 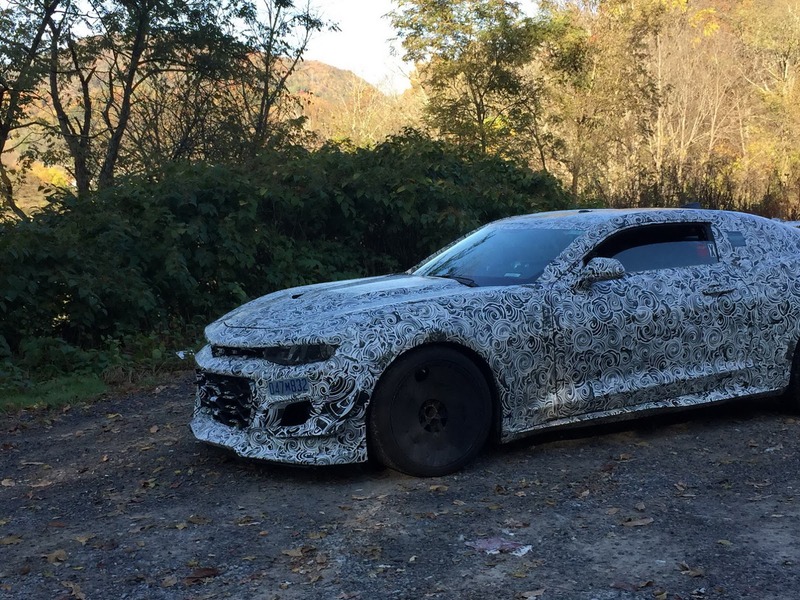 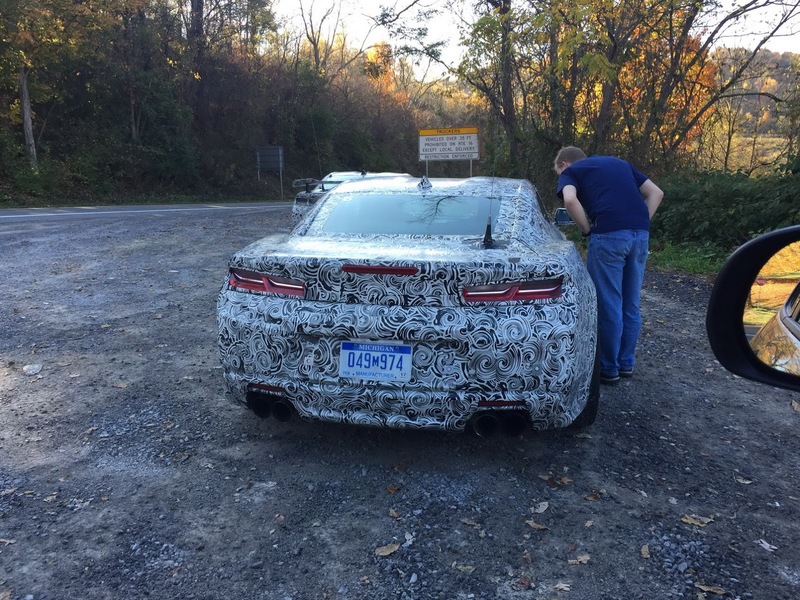 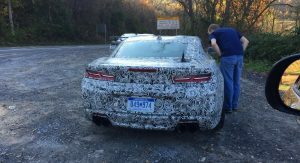 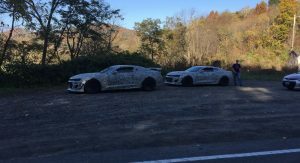 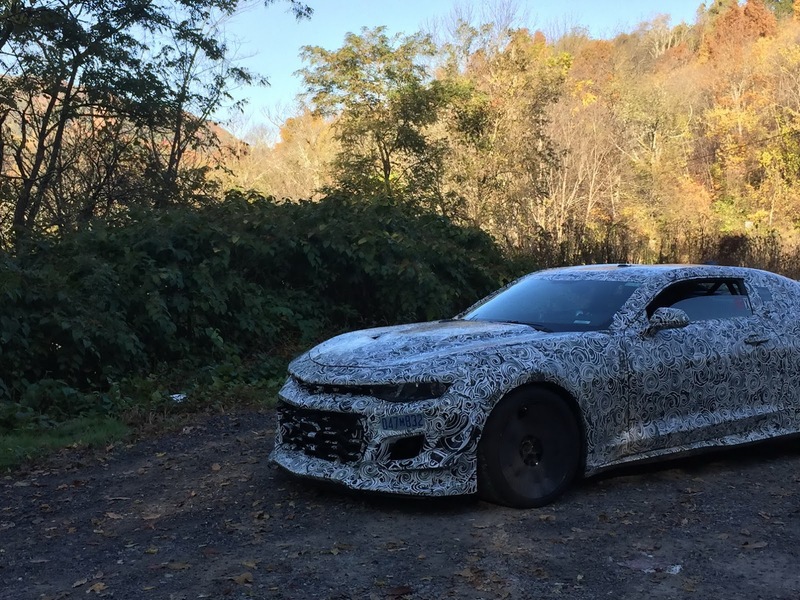 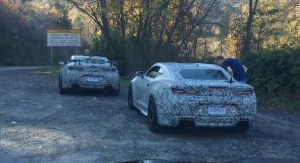 Two test mules of the 2018 Chevrolet Camaro Z/28 were recently snapped in the midst of testing in Virginia. 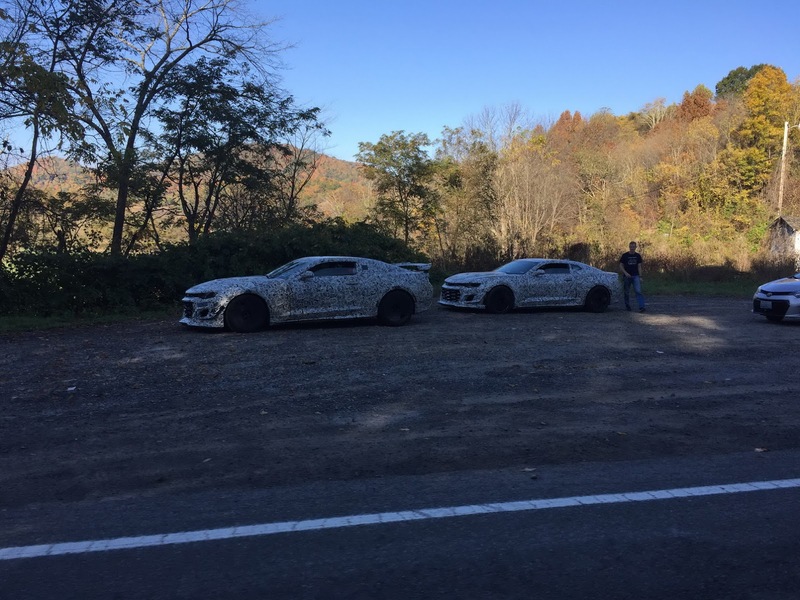 Pictured on the Back of the Dragon, a stunning ribbon of tarmac in Tazewell, the two cars were adorned in camouflage and fitted with covered-up wheels in a bid to hide their identity. 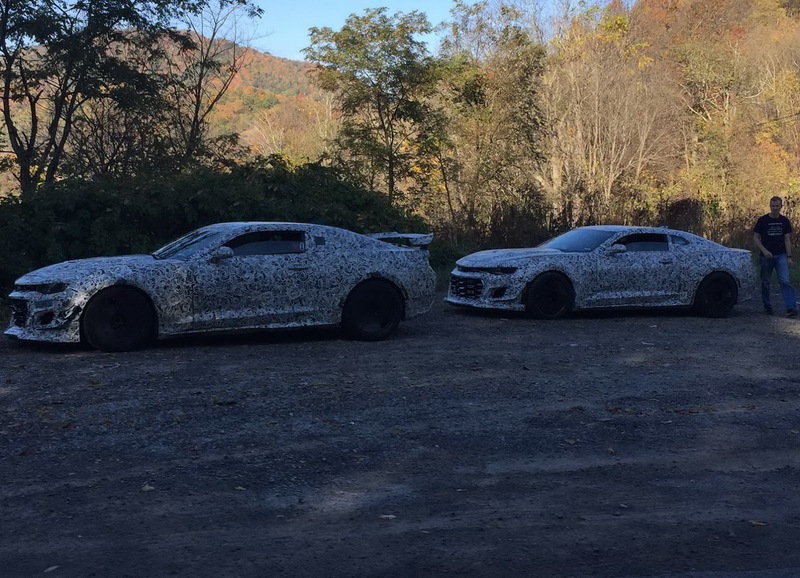 However, there are a few tell tail signs that these are no ordinary Camaros. 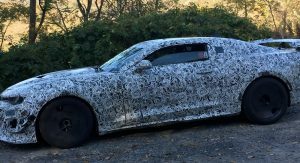 For starters, one of the mules can be seen sporting a large rear wing, identical to the wing seen fitted to previous 2018 Z/28 prototypes spied in Germany earlier in the year. 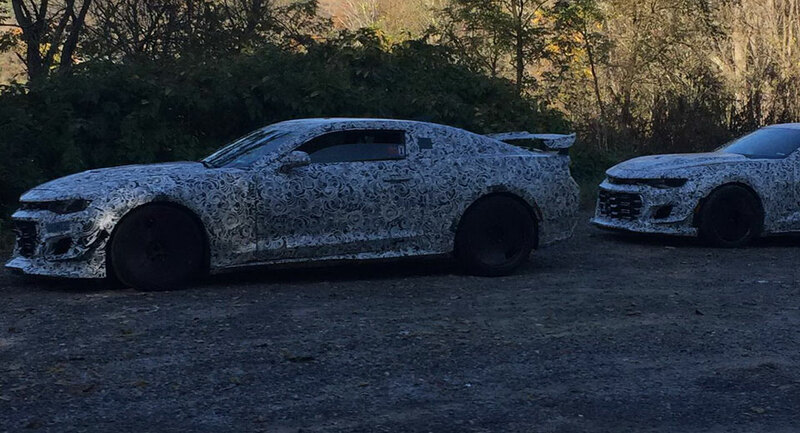 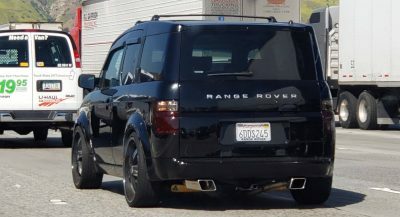 Additionally, both cars include bold new front splitters as well as downforce-generating canards. 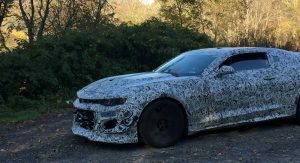 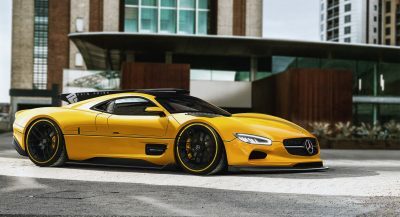 It is thought that like the previous-generation Z/28, the new car will be powered by a naturally-aspirated 7.0-liter V8 engine. 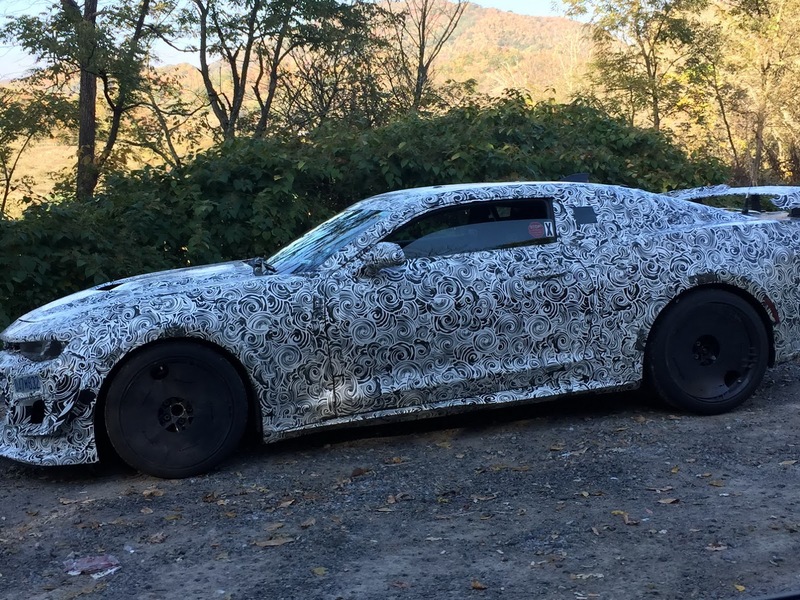 In order for the new car to compete with the Ford Mustang Shelby GT350R, power will be increased from 505 hp to between 540 and 565 hp. 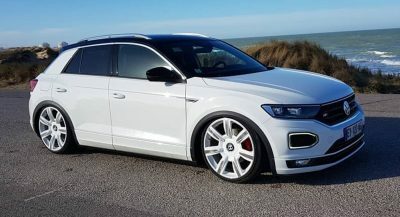 A six-speed manual will of course come standard. 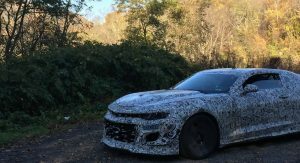 If the new Z/28 does indeed hit the market as a 2018 model, we can expect to see it revealed in the first half of next year.